Ann-Marie DeLuca is one of our extremely talented on-site Aesthetic Nurse Specialists. She is a certified medical aesthetic nurse and has been performing cosmetic injectable procedures since 2017. Ann-Marie has also received extensive one-on-one training with our in-house Nurse Practitioner, Lindsey Gillooly, who is a lead trainer for the AIM Aesthetic Institute. Ann-Marie received her Bachelor’s Degree in Psychology from the UMass Dartmouth, and her Batchelor’s Degree in Nursing from Simmons College. 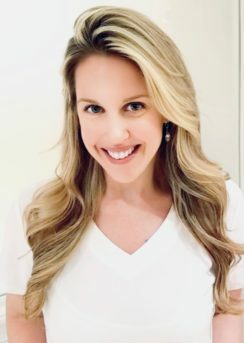 Her previous work experience includes over 8 years at McLean Hospital working with adolescents with eating disorders, and she currently works at Mass General in the acute medical and psychiatric care department.